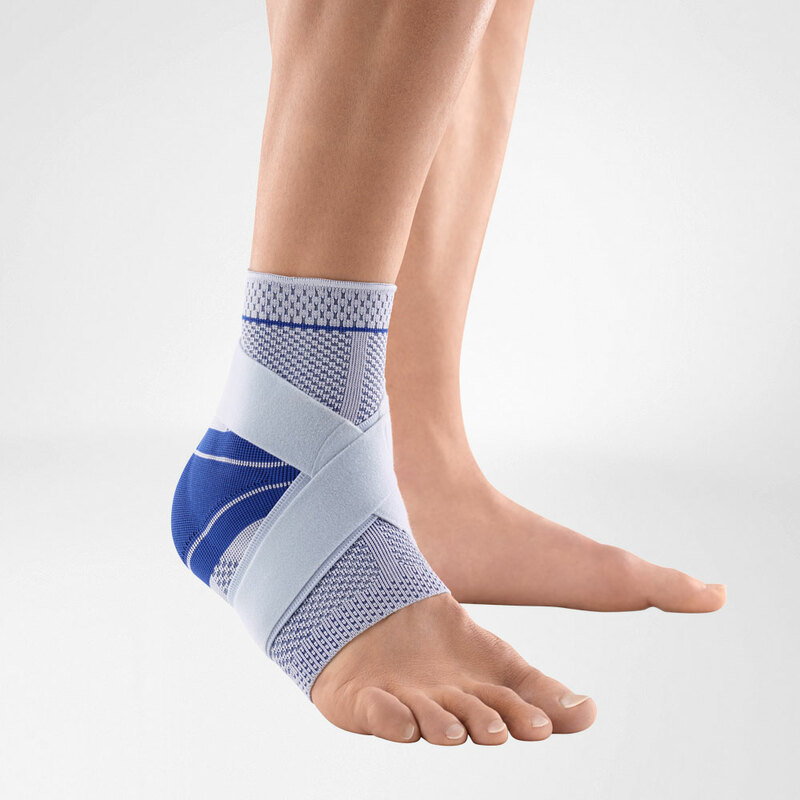 Stabilizes the ankle by the compressive effect of the knit and the two elastic profile inserts. It first stabilizes the ankle by the compressive effect of the knit and the two elastic profile inserts that are precisely aligned on the outer and inner ankle. The intermittent compression massage triggered by movement then also actives the musculature. This multiple stabilizing effect is reinforced by the semi-elastic strap system because it, like the tape bandage, is wound around the foot in a figure-of-eight. For optimal securing, the strap system of the MalleoTrain Plus consists of elastic, semi-elastic and non-elastic parts. The strap is applied independently under tension and its protection can be individually adjusted. Size: 1 (17-19 cm), 2 (19-21 cm), 3 (21-23 cm), 4 (23-25 cm), 5 (25-27 cm). Ankle circumference in cm.